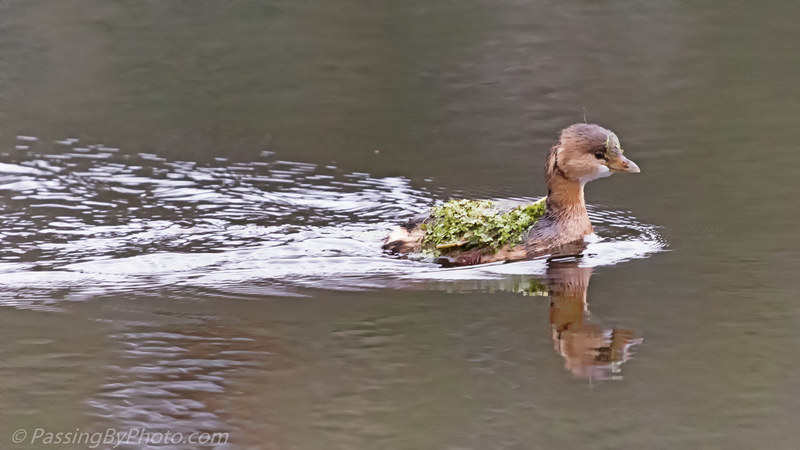 I spotted this Pied-billed Grebe as swam out of a patch of duckweed. 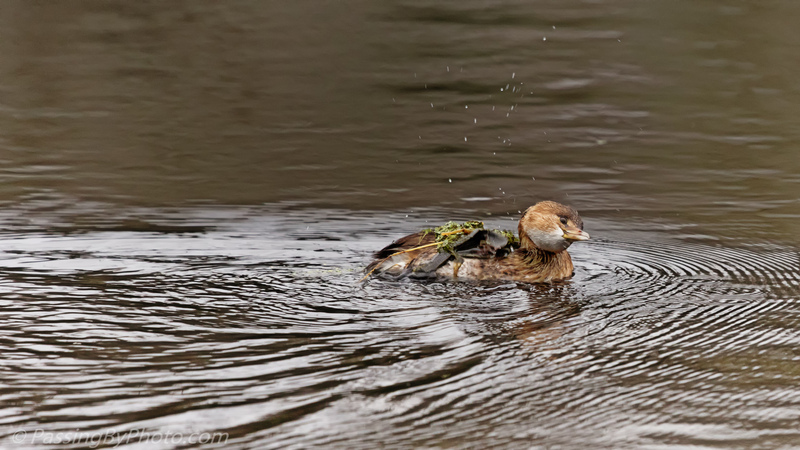 Usually Grebes will dive just as you are focusing on them and I fully expected this one to, just to clean off if not to get away from the edge of the pond. 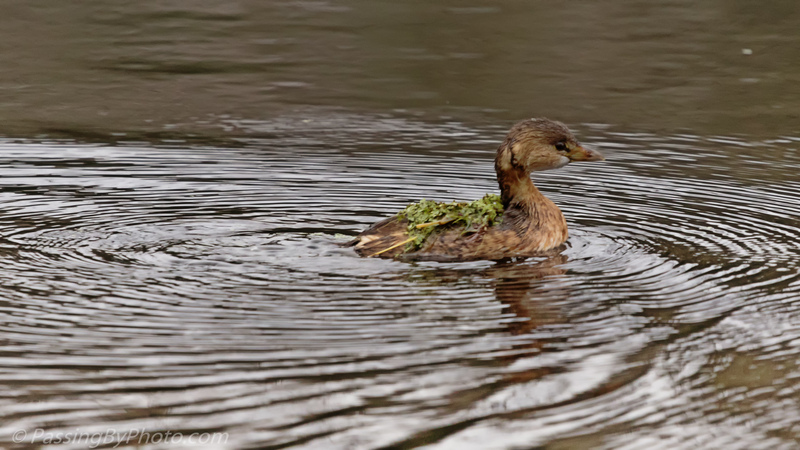 Evidently the duckweed wasn’t bothering him because after a shake he continued paddling on his way.